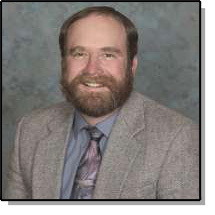 Dr. Zohns is a Cal Poly alumnus, a California-registered Mechanical Engineer, and a registered Fluid Power Engineer. He teaches courses in Careers, Introduction to Mechanical Systems, Power Transmission, Fluid Power, Equipment Engineering, and CAD. Current research activities include the development of a Gladiola Harvesting Aid, sponsored by Glad-A-Way Nurseries. He has advised a number of design class projects, ranging from an apple cider press to a beach kelp pickup machine. Dr. Zohns retired in 2016 after 30 years of teaching in the BRAE department. He is still involved in Tractor Pull activities and will be teaching Spring 2017-2019.